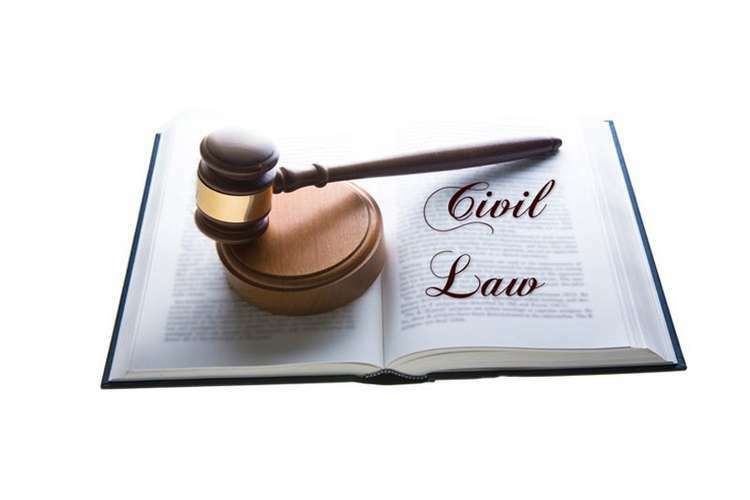 Civil litigation is preferred in legal matters which are related commercial, contractual and personal disputes. Thus, it is necessary to know all the aspects covering the structure of courts claim of claimant and defense of the defendant. It is required to understand the concept of litigation funding and various aids which are available to parties in a suit. In England and Wales, the civil justice system is administered by High Courts and County Courts. Civil litigation includes a wide variety of issues such matter concerned with family laws, commercial laws tort law etc. The jurisdiction of High Court covers civil matters. Royal Courts of Justice and District Registries in London: claims excess of 50,000 Euro. High court is empowered to deal with complex and substantial issues whereas County courts are empowered to deal with issues related to divorce, domestic violence and matters which are related to family and personal laws. The chancery division deals with matters which are related to issues of companies and matters related to wills, taxes, trusts and insolvency whereas The Queen’s Bench deals with matters related to defamation suits, contractual claims, personal injury etc. Ombudsman deals with public sector complaints and in some instances, it has the power to deal with private sector issues which include banking, insurance etc. Litigation in England and Wales is a default method which is largely used to resolve commercial disputes by High Court litigation and also in specialist division courts such as Commercial Court and Chancery division. This process is basically governed by Civil Procedure rules and specialist guides applicable to specialist courts. The Civil Procedure Rules at beginning provides overriding objectives of rule enabling the court to deal with cases appropriately. Whenever the court is about to exercise its discretion it should consider the overriding objective of rules. Part 1 of rules provides for “dealing a case at proportionate cost and justly which is done for ensuring that parties to a suit sets on equal footing, for saving expenses incurred by parties, It is the duty of court to ensure that matter is dealt fairly. It is necessary to ensure enforcement of compliance with rules, practice and orders ( Maltez v Lewis ). The rules of CPR provides for pre-action conduct of litigating parties in order to encourage parties to act in a reasonable manner in exchanging information and documents related to litigation at an early stage and to provide them a chance to resolve their dispute without getting into recourse of litigation. It is the duty of court as per rules of CPR to help parties to settle their dispute and fixing the timetable Hannigan v Hannigan. The court should consider that whether any benefit exists in taking a particular step. The claim form is a formal document consisting of a statement as to claim’s nature. This document is required to be prepared by the claimant and presented to court on payment of requisite fees which generally is equal to 5% of the claim made. The case where claimant personally opts for service of claim form then it should be done within four months else duration is six months where it is served by court, after such period time of service of claim forms elapse as observed in case of Adams v Bracknell Forest DC. A third party who was not having any prior connection to litigation who agrees to finance whole or any part of litigation cost in return for a fee payable, In the case of Charge Injection Technologies (CIT) v DuPont court rejected the petition which was challenging a litigation funding arrangement. There are certain modes of litigation funding which the party can opt out such as public funding or legal aid, insurance expenses which are offered as Legal Expenses Insurance, Before the event insurance and after the event insurance, funding of trade unions and professional organisation and fees arrangements of lawyer and lastly third party funding. The regulatory framework that governs the conduct of funder in the case of commercial litigation is a voluntary Code of Conduct for Litigation Funders which was started by Civil Justice Council which is a government agency and part of Ministry of Justice of England & Wales. This code provides the standards of practice and behavioral requirements of members of Association of Litigation Funders (ALF). Association of Litigation Funders was founded with the aim of self-regulation for dispute resolution funding in England and Wales which also regulates Voluntary Code of Conduct for Litigation Funders and also maintain and govern the procedure of complaints made against members of litigation funders. In the case of Pedro Emiro Florez Arroyo and Others v BP Exploration Company (Colombia) Limited, the question was to decide whether a document prepared by the third party can be privileged or not. It was held by the Appellate Court that a document will observe the litigation privilege. The concerns in civil litigationare basically related to deciding the rights of funding litigants. The need is to focus on the claims that have been made by claimant in suit and the impact of such claims on defendant’s interest in the suit. Thus, Civil Procedure Rules are efficient in providing efficient remedies and procedure which is required to be followed by parties to a suit as well as funding litigant who have a substantial interest in subject matter of the suit.